So I shared the hall bath with you the other day. Want to see the tile we picked? It looks really blue but here is a picture at Color Me Happy of what I think it looks like. Looking good! I love the herringbone. It's going to be gorgeous!!!! You are right about the paint chip colours on the computer....they never look the same. I had picked a BM colour from the computer and it looks completely different in real life. Maggie, Heather, Amy sue - Thank you. I saw it again today with the tile in and it was looking good. 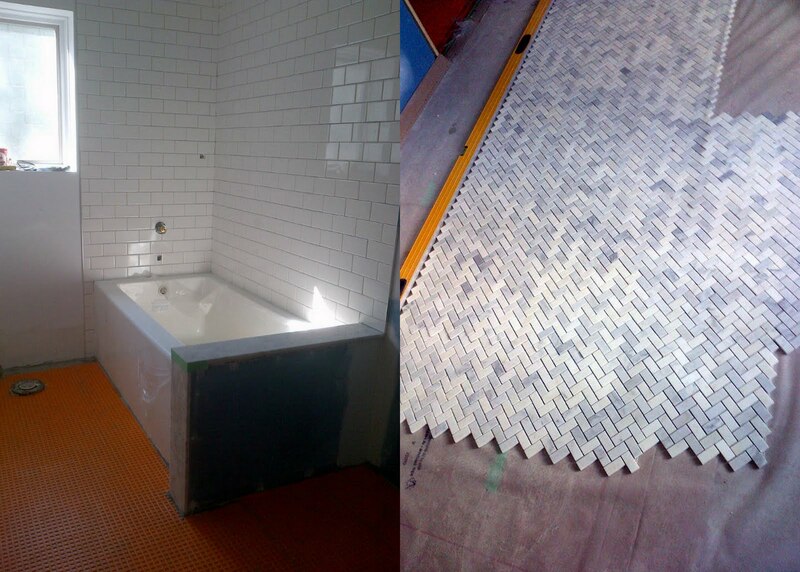 Reveal of almost finished washroom in less than a week!